Happy Bloggers Challenge Friday! Thanks to those who played along with the Birthday Challenge! The Challenge this week is It's a Wrap! Everyone needs "pretty" bows for gift wrapping! I created these colorful bows using Our Daily Bread Designs Custom Small, Medium and Large Bow Dies. 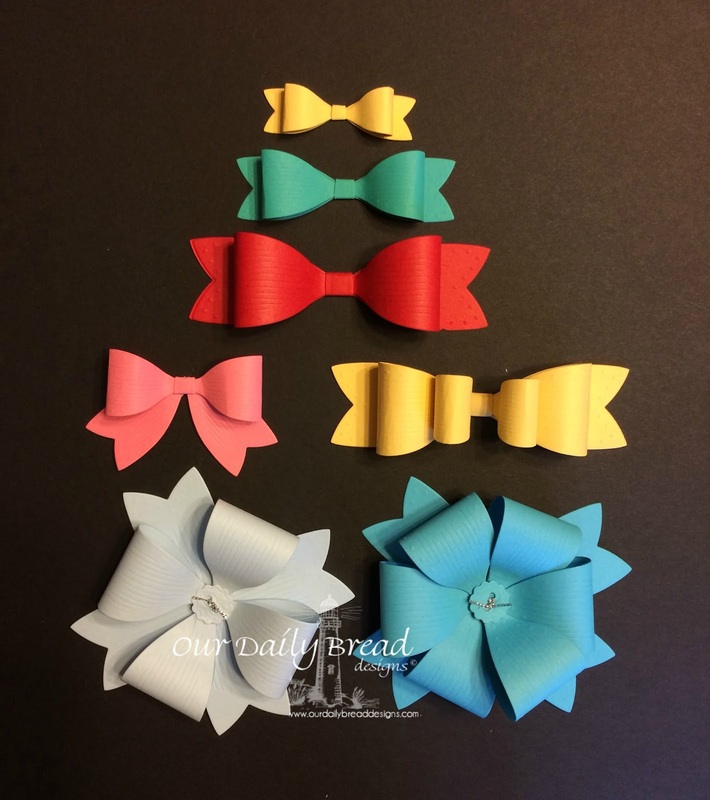 These dies are available separately, or you can purchase the Bow Bundle! You can see how I created the bows in this video. Don't forget you can enter to win a STAEDTLER Prize Package (retail value $60.00)! Click here for details! If you would like to play along with this weeks Bloggers Challenge, please link back to this post on your blog and mention you created your card for the Bloggers Challenge It's a Wrap Challenge. Please add your link using the Link Tool below, your link should be a direct link to your Bloggers Challenge Post, use your name as the Title. Please do not link to cards that were created prior to the challenge date. Entries not linking properly, or backlinked will be removed. If you have the captcha enabled on your blog, please consider turning it off, as it makes it so much easier to leave comments.